Some common questions regarding Keyword Provider. Google Analytics will start a new session if the campaign source information has changed. Before installing Keyword Provider, a user searched for example “organic keywords” and ended up on a page on royapp.com. This would show up as “(not provided)”. The user was not content, backed to the search results page, redid the search, and again chose a page on royapp.com. Once again Google Analytics would see this as a “(not provided)” keyword. With Keyword Provider though, if that second page gave another keyword. For example page 1 yielded “organic keywords”, but page 2 yielded “keyword provider”, the campaign source information is changed, and a new organic session is created! That is the reason why organic traffic may be inflated when starting to use Keyword Provider. Why can’t I see any provided keyword data? You try two search queries on Google: “i love data” and “keywords rock”. For “i love data”, you click the link, land on the page and get the provided keyword data. But for “keywords rock”, which is a different landing page, Keyword Provider does not provide any keyword data. Why? Brand new account: On a brand new account, it can take some day before we have data for that keyword. The first time ever our service sees a landing page, we don’t have data, and to not interfer with page loads, the script will timeout (some hundred milliseconds) before the backend service has found the keyword for that landing page. So the first time you go to a page, most of the time, there won’t be any data on that click. Data Quality and Reliability: We only want to deliver keywords when we are certain that you are ranking on that keyword where we can find the device, the Google domain, and the landing page. 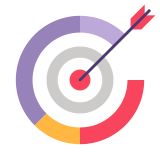 Instead of delivering uncertain keywords, we limit ourselves to deliver as high quality estimates as possible. Some landing pages which only rank and receive only sporadic traffic may prove too uncertain for us to make a solid estimate – in those cases we rather not deliver, than deliver unreliable data. With the recommended approach to set delivered keyword data as custom dimensions, the original Keyword field is preserved. See in this screenshot how the original Keyword dimension equals “(not provided)”, while the custom dimension Provided Keyword has the keyword data. This practice is considered best because it only enrichens Google Analytics, without modifying the original data. With the recommended approach to set delivered keyword data as custom dimensions, the original Keyword field is preserved. The keyword data is set as a session-scoped custom dimension. With session-scoped custom dimensions, the keyword will only last for the actual session with the actual referrer being organic traffic. However, Google Analytics uses a special “last non-direct click” attribution method in standard reports. So often you are seeing what is actually Direct Traffic, as Organic Traffic (or any other traffic source!). Keyword Provider will only give you a keyword when it is a proper organic session. Therefore, you now see the actual truth about your traffic, and often it is way less than what you thought before. What happened before (and still does for all traffic sources) is that whenever direct traffic hits your site, Google Analytics asks “have I seen this user or cookie before?”. If the answer is “yes”, Google Analytics asks “this direct traffic user, did it have any other traffic source the last time?”. If the answer is again “yes”, Google Analytics says “OK! Then we’ll use that old traffic source for this direct traffic source instead”! 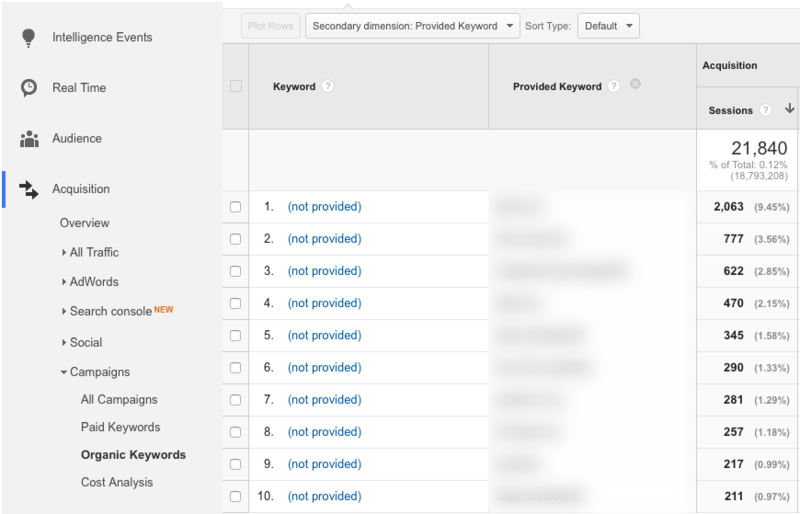 If you would like to use the last non-direct click model as the rest of Google Analytics – You can try with the Campaign Keyword setup instead of using Custom Dimensions. Please reach out to hello@royapp.com if you still have any questions what so ever.